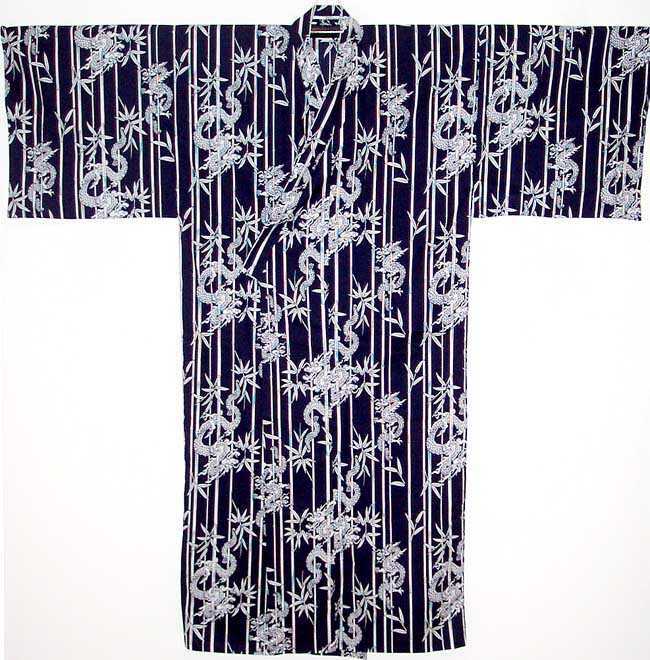 The yukata is an informal kimono usually worn at home or bathhouse. 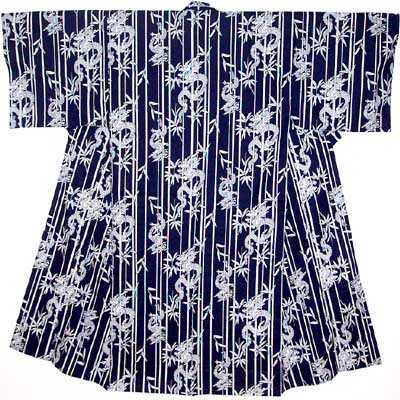 This all cotton kimono is presented in traditional indigo blue and white. 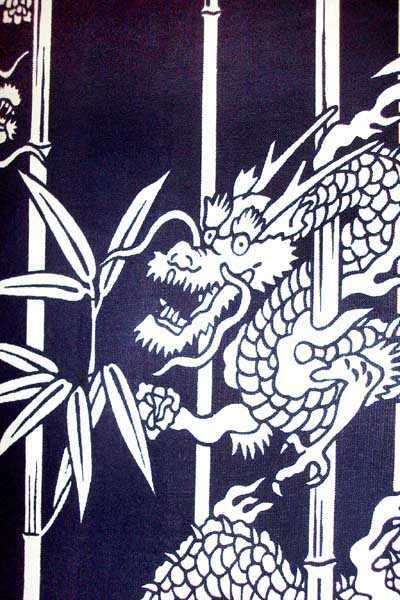 It has a bold design that features dragons and bamboo. The yukata comes with a matching belt. 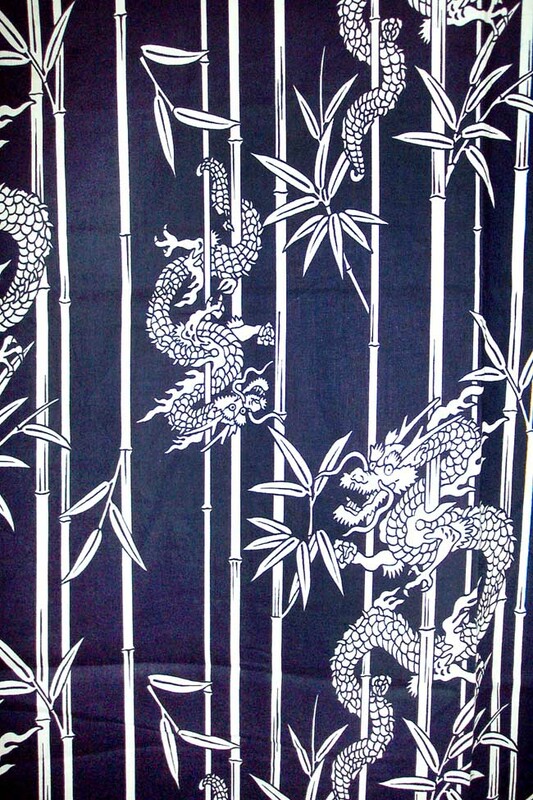 Kimono Dimensions: Size 2X or 59” wide from sleeve tip to sleeve tip X 62 “long from shoulder to hem. Size 3X or 64” wide from sleeve tip to sleeve tip X 64 “long from shoulder to hem. Size 2X and 3X only.